BULLOCK COUNTY, AL (WSFA) - There continue to be twists and turns in the multi-county search for Lisa Theris. The Louisville woman has been gone for more than three weeks. The two men she was with before she vanished have been arrested and questioned, but investigators say they haven't said much of anything to help lead them to Lisa. Midway resident Greg Jackson says his town is worried about the missing 25-year-old. "They're very concerned about it because we've never had anything like this happen in this area. Everything is just quiet and nothing like this has ever come here," he said. "I hope they find her and come to some kind of closure with it for her family and friends." Bullock County Sheriff Raymond "Buck" Rogers painted the picture of what's been going on in the Midway area, where Theris was last seen before she vanished. "We are still searching and right now as we speak, we're trying to collect some evidence that we have heard about. Someone called in with a tip so we're out now searching for some evidence on one of the county roads," Rogers said. Massive ground searches and water searches have been done as efforts continue to find her. "We've sent out search teams and they've searched ponds, field lines, creeks. We've done everything we can possibly do and as we get in leads and information, we go out and do it again," Sheriff Rodgers added. Theris was reported missing to Troy police on July 23 by her father and two of her friends. According to her father, his last contact with Lisa was by phone on Tuesday, July 18. Police say she told her dad she was in Troy during that conversation. It's now believed she was last seen in Bullock County. 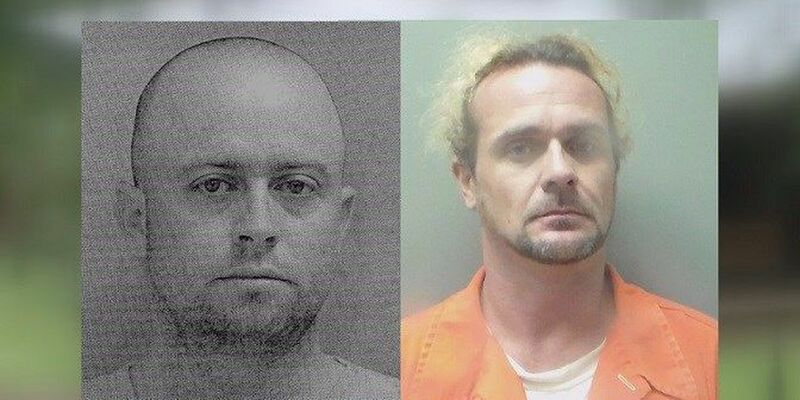 Investigators say Lisa and two men- Manley Davis, 31, and Randall Oswald, 36, both of Troy- were together when the men broke into a hunting lodge on Pleasant Hill Road in Midway. Davis and Oswald are now in custody, charged in the burglary and considered persons of interest in her disappearance. Last week, a deputy with the Pike County Sheriff's Department spotted Davis driving a white Cadillac on Alabama Highway 87 near the Pike County Lake Road, knowing Davis had warrants out of Bullock County in connection with the break-in Midway. When the deputy turned around, police say Davis fled the scene, traveling toward Troy. Officers quickly flooded the area in an effort to locate him and that's when an alert citizen notified police that Davis had been seen walking in the area of Wilson Drive. Officers found Davis hiding in the backseat of a car in the 600 block of Wilson Drive and took him into custody. Manley Davis's white Cadillac was found abandoned nearby on Rick Street and was impounded. Oswald was arrested by the Troy Police Department a few days later on similar charges from warrants out of Bullock County for the hunting camp burglary. Officers tried to stop a 2009 black Chevrolet Tahoe driven by Oswald at approximately 11:30 pm August 4 on Pike County Road 1177 near the intersection of Pike County road 1151. Oswald refused to stop and led officers on a lengthy car chase that spanned three counties. Officers pursued Oswald into Montgomery County and then into Crenshaw County where the Tahoe ran out of gas on Bradleyton Road. He got out of the car and ran into the woods on foot. Officers chased Oswald into the wooded area where he was taken into custody. Oswald was then transported to the Troy City Jail where he was also charged with Attempting to Elude a Police Officer, driving with a suspended license, failure to signal, and reckless driving. The 2009 Chevrolet Tahoe was towed and impounded. Investigators with the Troy Police Department had an interest in questioning Davis and Oswald in the missing person case of Lisa Theris, Troy police said in a press release. The investigation had revealed that Davis, Oswald and Theris knew one another and that they had been together on or around the time that Theris was reported missing by her father, the department added. Davis and Oswald's bonds were each set at $250,000. Davis has no prior felonies while Oswald has done time for drugs and bad checks, authorities said. Officials say Lisa Theris had no idea the men were going to the hunting lodge to break in and steal things and didn't want to be a part of it. Forty thousand dollars in items were taken, including four-wheelers, ATVs, tools, chainsaws and other items. It's unclear where Lisa Theris ended up. Davis and Oswald point fingers at each other as being the last one with her. They say they don't know where she is. A third potential suspect in the burglary at the hunting camp turned out to be only someone storing the stolen items at his house. Theris is a student who is studying to become a radiologist. She is a resident of Barbour County. Lots of questions remain, but the investigation into her disappearance isn't slowing down. Troy Police Chief Randall Barr says the case is still very active. "We're continuing to work this. We all hope that she can be found safe and returned to her family," he said. Law enforcement agencies in Pike, Bullock and Coffee Counties and members of the U.S. Marshal's Service are working to find Lisa Theris. If anyone has any information or knows her whereabouts, they are asked to contact the Troy Police Department at 334-566-0500 or Central Alabama Crimestoppers at 334-215-STOP (7867). The Bullock County Sheriff's Department can be reached at 334-738-2670. Theris is 5-feet-5-inches tall and weighs 145 pounds, with brown hair and blue eyes. She may be in danger because she has a medical condition that requires daily medication and she needs her prescription medication. "We haven't heard anything from her in several weeks and right now, I am worried about her. We're going to keep on until we find her in my county or another county," Sheriff Rodgers said. "I'm praying to God that she's still alive. If you have any information that can help us solve this case or if you see this young lady, please call us." "We have deputies out working now and we're going to follow every lead until we find her," added Chief Deputy Anthony Williams.